Skin Tags On Dogs: What Are They and Should You Get Them Removed? Skin tags on dogs – they are a common problem, but can cause a lot of stress. Has your pooch developed an unsightly skin tag? 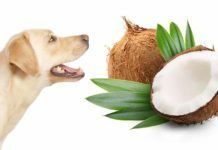 Or maybe your pooch has developed some sort of growth, and you’re worried that it might be a sign of something serious? Can dogs even get skin tags? Whenever your pup develops a new symptom, it can always be worrying—even if it is something as benign as a skin tag. Luckily, we’re here to help. We’ll tell you everything you could ever need to know about skin tags on dogs, including whether dogs can even get skin tags, what they might look like and what causes them. Can dogs even really get skin tags? Or are skin tags just something that humans develop? A skin tag is a fibrous growth on the skin. It can appear as either a single bump-like formation, or as multiple. Just like their human companions, dogs can also develop these skin tags. They can develop on top of the skin and just underneath the surface. Obviously, the skin tag will look different depending on its particular location and cause. Warts are not the same as skin tags. Warts are contagious and usually caused by a virus, while skin tags are not. Furthermore, different factors increase your chance for warts and skin tags. We will look at other differences between the two conditions later in this article. So, just what do these skin tags look like? And how can you tell if your pooch has a skin tag or something else? Skin tags on dogs look very similar to skin tags on humans. There are two main types of skin tags: Fibroadnexal Hamartomas and Follicular Hamartomas. Fibroadnexal skin tags appear as small, pale growth branching out from the skin surface. These growths are usually very small—around the size of a pinhead, though they can sometimes grow to be slightly larger. They are usually hairless. These growths are very commonly connected to the skin surface by a stalk-like tissue. If the skin growth is particularly developed or large, this connective tissue will appear noticeably smaller than the bulk of the growth. 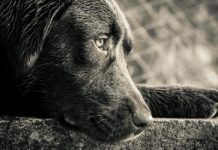 Follicular skin tags are rarer in dogs, but they do still develop. These growths are usually found in groups, and can be identified by their flattened tops and thick hairs. Normally, these skin tags do not appear to have connective tissues. Skin tags can also rarely develop underneath the skin’s surface. Skin tags that develop in this manner are usually unnoticed. However, if they are somewhat large, they might be noticed by gently feeling the skin. Luckily, nearly all skin tags are completely benign. The only time a skin tag can be troublesome is if it is in an unfortunate location, such as on the underside of the eyelid. There are many causes of skin tags on dogs. Skin tags are made of fibrous tissues that contain proteins. These proteins function as supportive connections in the bodies and hold the internal organs in place. Sometimes, the cells that cause the growth of these supportive tissues become overactive. This can cause a skin tag to form. In other words, a skin tag is the overabundant, unnecessary growth of connective tissue. This abundant growth is usually not created by a single cause. Instead, it is caused by a number of factors. Older animals have a higher chance of developing skin tags. Irritation and areas worn by repetitive movement, such as under the limbs or in-between a dog’s toes, are also more likely to develop skin tags. On top of this, some dogs simply seem to develop more skin tags than others. The reason for this is generally unknown, but genetics are thought to play a part. Sometimes, skin tags form as a benign form of cancer. When caused by this, the skin tags generally spread around the body. These tumors are usually harmless, unless of course they grow in a troublesome area. 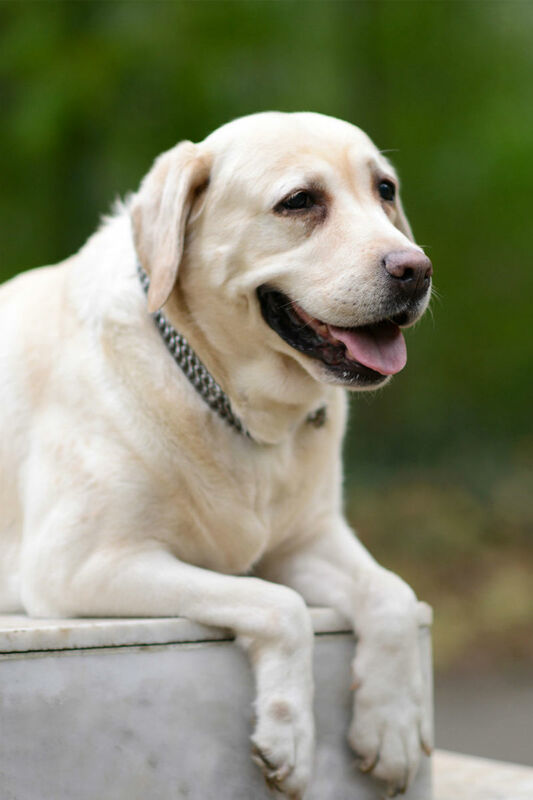 The main issue involving these types of skin tags on dogs is their ability to appear in particularly troublesome areas, such as the vascular system and the spinal cord. These tumors can also grow in other areas besides the skin, and usually go unnoticed due to their benign nature and small size. What should you do if you find a skin tag on your pooch? Although nearly all skin tags are completely benign—even those that would be considered cancerous—it is important to get the growth checked out by a vet. While skin tags are pretty common, there are some more dangerous conditions that mirror the appearance of skin tags. It is also important to watch the growth so that you can correctly give important information to your veterinarian. Take pictures of the growth next to something of a fixed size, like a coin, so that you can judge its growth later. 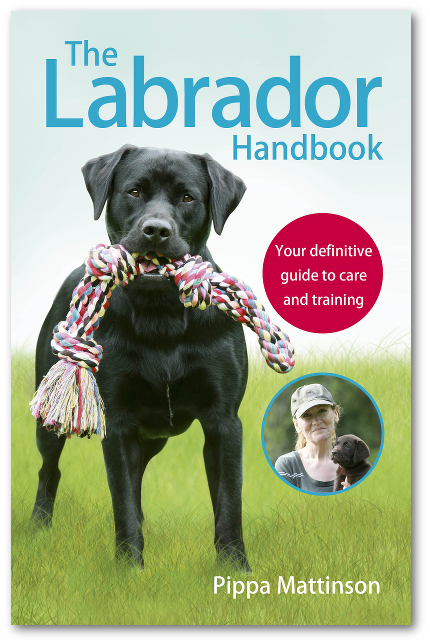 It might also be useful to take notes of any strange features or disfiguration of the growth to share with your vet. Take special attention if the lump is rapidly growing; a different color from your pet’s surrounding skin; or near your pet’s eyes, nose or mouth. If your pet shows any other symptoms, you should be sure to mention them to your vet. This includes factors such as changes in appetite, weight change, signs of discomfort, vomiting and diarrhea. 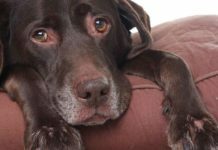 Now that we know exactly what a skin tag is and some important signs to watch out for, let’s look at how warts on dogs are different from skin tags on dogs. Wart like growths on dogs are different from skin tags in many ways. As I mentioned earlier, warts are caused by the papillomatosis virus in dogs. Because of this, warts are contagious, unlike skin tags. This virus can be spread from dog to dog through fluids and skin-to-skin contact. Warts also have a tendency to go away by themselves, while skin tags do not. Warts on a dog’s paw can cause irritation if it is between the toes or in an area that rubs against the ground. These warts might call for vet removal if they are distressing enough. Warts on a dog’s head and/or face are not usually dangerous unless they are near the eyes or nose. Warts on a dog’s legs are one of the most common wart locations. These warts are usually not particularly irritating. Because warts always go away by themselves, they do not usually need treatment. But some warts might become irritated and infected, in which case your vet might decide to remove it. You should always take your pup to the vet if he or she has what you think might be a wart. This is important to diagnose that it is in fact a wart and not a more serious disorder. So you’ve taken your pooch to the vet, and they confirmed that your pooch did have a skin tag. What now? Most skin tags do not need removal at all. They are only superficial in nature and do not call for any particular treatment. Yet, if they are in a troublesome area or are larger than normal, your vet might suggest getting them removed. Without removal, most skin tags will remain. They might shrink in size, but they do not usually disappear completely. 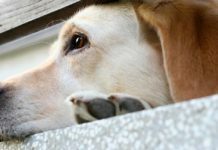 If you and your vet decide removal is best, it will usually take the form of surgery. This surgery can differ a lot depending on where the skin tag is and your pet’s particular situation. 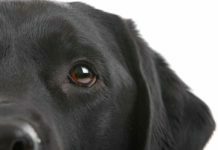 For example, removing a skin tag on a dog’s eyelid is going to be different from removing a skin tag from between a canine’s toes. Furthermore, if the skin tag becomes infected, the surgery will involve different aftercare than it would otherwise. Cryosurgery is also an option for some cases of removal. In this type of removal, liquid nitrogen is used to remove the skin tag by freezing it. It is a lot like some human wart removing techniques in this way. 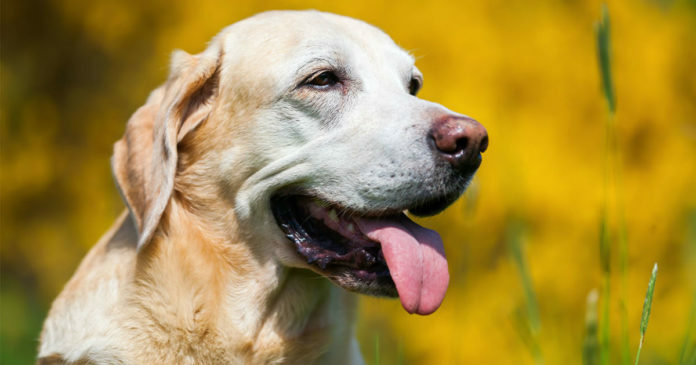 This procedure is used in dogs that are at risk of complication during a normal surgery. Of course, this procedure might not be available if the skin tag is in certain locations, such as around the face. You vet will be able to discuss the best options for your pet and can answer any specific questions you have about your pup’s situation. The cost of removing a skin tag on a dog depends a lot on the specific situation. Where is the skin tag located? What method is being used? Will the dog need antibiotics? Does the canine have any other infections? How many skin tags are being removed? Truthfully, it all depends on your specific situation and the specifics of the skin tag. You vet will be able to give you accurate pricing based on your canine’s condition and the specific surgery. Skin tags on dogs are almost always harmless. They usually only pose a threat if they are in a worrisome location or become irritated and infected. Despite their benign nature, you should still take your pooch to the vet to make sure that it really is just a skin tag. Some more serious conditions, such as some cancers, can take the appearance of skin tags. You vet will be able to provide a sure diagnosis for your pup. 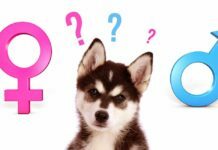 Next articleCan Dogs Sense Pregnancy and Other Medical Marvels? Thanks for the informative post, I will keep in mind if ever find anything on our dog. You are providing the best info about dog’s skin tags. Thanks for the great article.